Did you know that you can make cornbread without a mix AND in the bread machine? It's true! 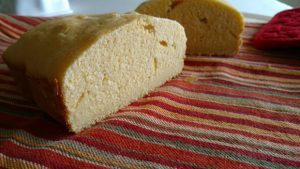 Imagine homemade cornbread that's easy to make and tastes great! 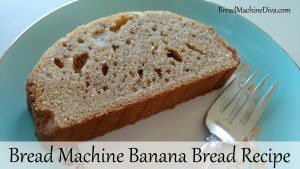 If your bread machine has a cake or quick bread function, you'll love this recipe. The banana bread is moist and delicious. It's also really easy to make because your bread machine does all the stirring and baking. What's the difference between these types of flour? Gluten! Wondering about cake flour, self-rising flour, and pastry flour? I've got information about those too. The bread is moist and tastes a little like sourdough bread because of the sour milk. It doesn't have a rye flavor, but it does have a subtle heartiness. The bread has a good texture that makes it a natural for sandwiches. Welcome! 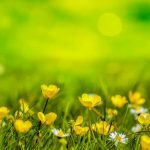 This site is devoted to helping you use your bread machine. 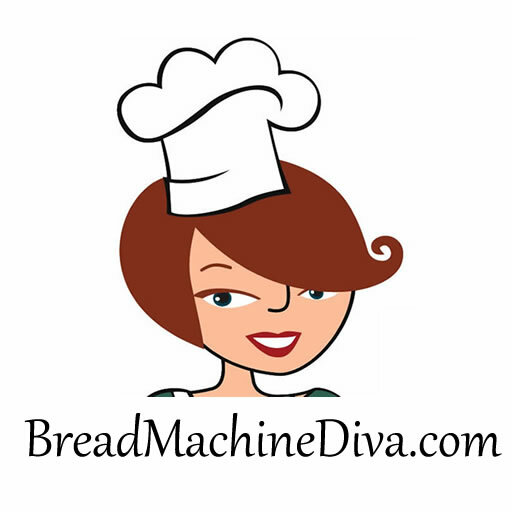 We have over 50 bread machine recipes. We’ll also help you with the dough and cake cycles. 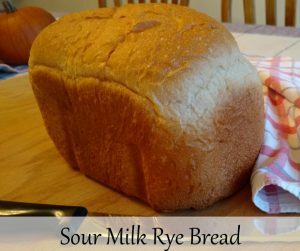 Have a question about bread ingredients or why your bread didn’t turn out? 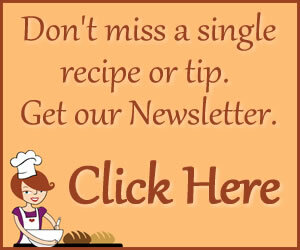 Check out our articles about bread ingredients and troubleshooting. 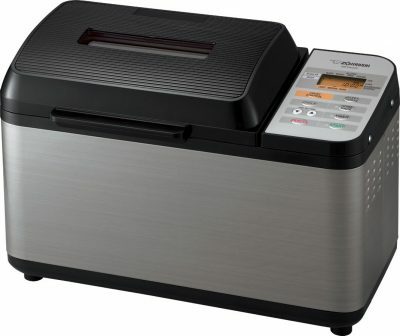 While I make my bread with a Zojirushi bread maker, these recipes should work for most machines. Bread Machine Recipes - We've tested each and every recipe on the site. 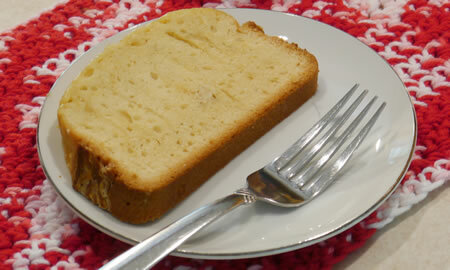 Cake Setting Recipes - I'll show you how to make pound cake and corn bread with your bread machine. Bread Machine Mishaps - These happen to everyone! Other Recipes - One of my faves is a recipe for homemade breakfast bars. You'll love 'em! 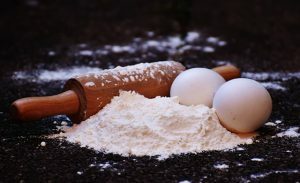 Bread Troubleshooting - There are tips for bread that rises and then falls, bread making in high altitudes, using the delay start timer and more. Can't find what you're looking for? Email me your question. Dough Setting Recipes - I'll show you how to make French bread, hamburger buns, hot dog buns and more. Here’s what I’ve been doing recently . . . In my opinion, bread for Easter brunch falls into two categories. It can be sweet or hearty. What sort of bread you serve depends on personal tastes and on your menu. 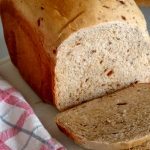 I’ve picked out three bread machine recipes of each type for you. Are your hamburger buns and dinner rolls burning? 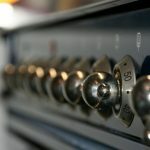 Do recipes for anything involving your oven not turn out? Maybe the problem is the oven temperature. 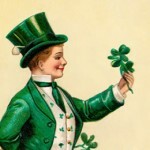 On Saint Patrick’s Day our house will be filled with the lovely aroma of corned beef and cabbage. The next day we’ll be enjoying corned beef sandwiches on rye bread. 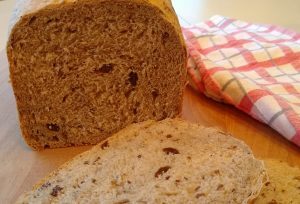 Here’s a collection of rye bread recipes, and a few rye bread mixes, for your Saint Patrick’s Day leftovers. I’ve recreated the taste of eggnog bread, but without the eggnog. This bread smells heavenly while it toasts, filling the room with scents of cinnamon and nutmeg. Add some cream cheese and you’re in heaven! !